The Oakwood Performing Arts Academy is dedicated to bringing quality music experiences to families. 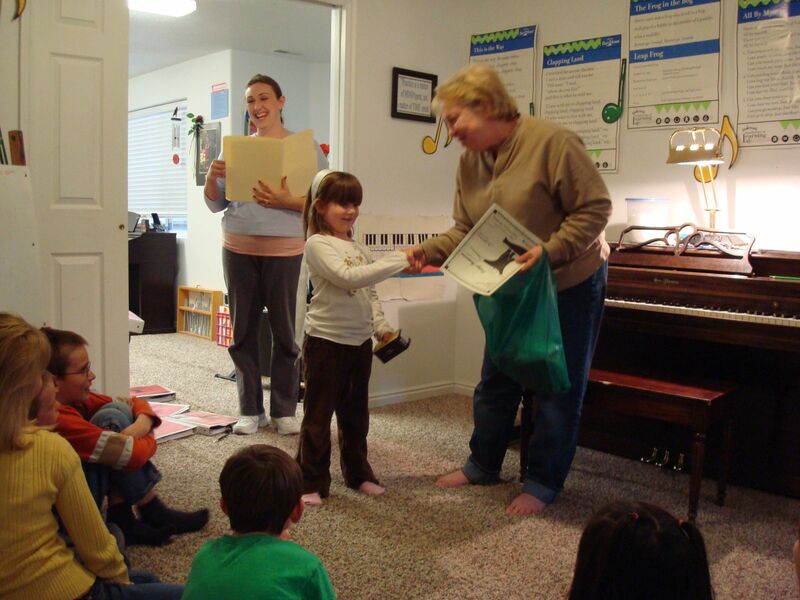 I offer quality piano instruction for children 5 years of age and up as well as Recreational Music Making for Adults and Kindermusik for children Newborn to age 5. I strongly believe in providing a solid, well-rounded music foundation. My piano instruction includes the critical skills necessary for lifelong learning and music enjoyment. Theory, technic, ear training, sight-reading, performing and ensembles are some of the essential elements I include in my curricula. The study of music teaches long and short range goal making, commitment, consistency, persistence, accomplishment, public presentation, self esteem and creativity. These skills are encouraged through weekly assignments, adjudication events and performance opportunities in the community and beyond. I believe that the most effective teaching begins when a child is young and therefore, put an emphasis on quality early childhood music education programs such as Kindermusik and the Alpha Series for beginning pianists. I agree with the Chinese Proverb “Give a man a fish and you feed him for a day. Teach a man to fish and you feed him for a lifetime.” It is my goal to provide my students with the tools necessary for them to enjoy a lifetime of making and sharing music.